Personally I’m a real advocate of keeping things simple. 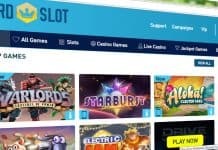 I want all of the features I’d expect from a casino site but designed with a quick and easy user interface. So when we finally got round to trying out Winneroo Casino this was the first thing that popped into my head. 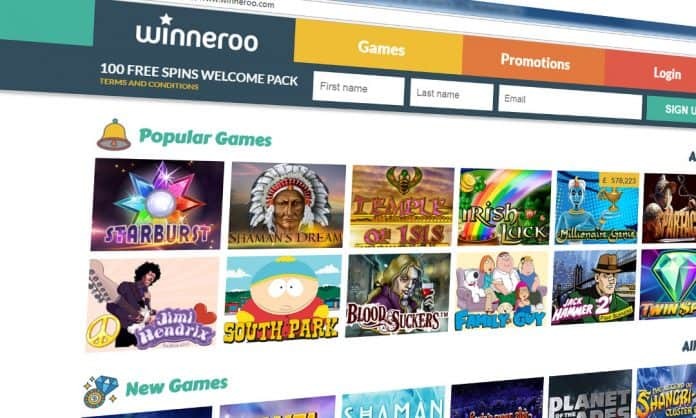 Winneroo Casino is part of a well established market leader in the gaming industry, so you can be rest assured you’re playing with a leading brand. But enough about that, lets put on our surgeon scrubs and dissect this beast. To kick things off Winneroo casino have an epic bonus for all you money saving punters. For every £10 deposit you make you’ll receive 25 free spins and you can repeat this for each of the first 4x deposits. So you can earn up to a maximum of 100 free spins across your welcome pack. What was slightly annoying was that new customers need to enter Winneroo bonus codes “ONE, TWO, THREE, FOUR” for each of the four deposits for the bonuses to be applied. The codes maybe straight forward but it’s hardly beyond the wit of man to have this automatically applied. 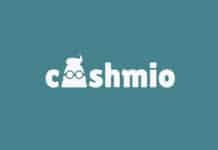 Make sure you check the promotions page for the latest Winneroo deposit codes. Winneroo does come with a few heavty caveats such as winnings are capped at £2.5 per deposit and are paid out in bonuses that must be wagered 40x before cashed out. 40x wager requirement is bordering on daylight robbery so you may need to seriously think about this before joining. As always we stress that you make sure you read all of the terms and conditions before making a deposit. Regular savvy players should also take advantage of Daily Spins which unlike some casino’s are available 24/7. Simply make a minimum deposit of £10 and use the code bleow for each day to get free spins for each of the slot game listed. If that wasn’t enough with Player Perks regular depositors can get some serious cash bonuses. This includes 100% bonuses on both Tuesday and Friday, 5% monthly cashback up to £100, weekend and birthday free spins. As always check the t&c’s for more details. This has to be the biggest refer-a-friend deal we’ve ever seen, as players can refer up to 15 players per month with a referral bonus of £10. This gives you up to £150 per month and there’s no stop limit to the number of friends you invite, so why not invite them all. With so many new titles and games at your disposal, why would you want to play anywhere else? The site boasts up to 250+ titles in their catalogue but we could only find near to 100 slot titles which isn’t an exhaustive list. But winner did not let us down with some of the latest and greatest title that have just released including: Planet of the Apes and Finn and the Swirly Spin. Both use the latest ground-breaking graphics to give you the fully-immersive experience. Switch over to mobile and things get very interesting. The first thing you’ll notice is just how responsive the site is to touch tap and swipe commands, it works without breaking a sweat. The top header menu system is so simple and easy to use even my Nan could use it. I was slightly annoyed to see the contact/help link right at the bottom of the homepage but it’s a small blemish on a fantastic site. We were incredibly impressed with how smooth every game ran, whether it’s on mobile or desktop. Even on more dated mobile devices (Samsung S6) the games worked flawlessly. I found no jitter or lag while playing and even some of the newer titles that utilise HTML5 had no problems. The site is fully responsive so even if you’re on a tablet device, the game you choose will adjust to your screen size so you can take your favourite game with you on the go. Winneroo Mobile has a decent range of payment options to make your first deposit, which includes: VISA Credit/ Debit card, Mastercard, Neteller, Maestro, Ukash, PayPal and Paysafe card. Withdrawal times were pretty standard with any banking transactions taking between 2-4 working days and more electronic transfers taking up to 2 working days. Which is fairly consistent across the board. 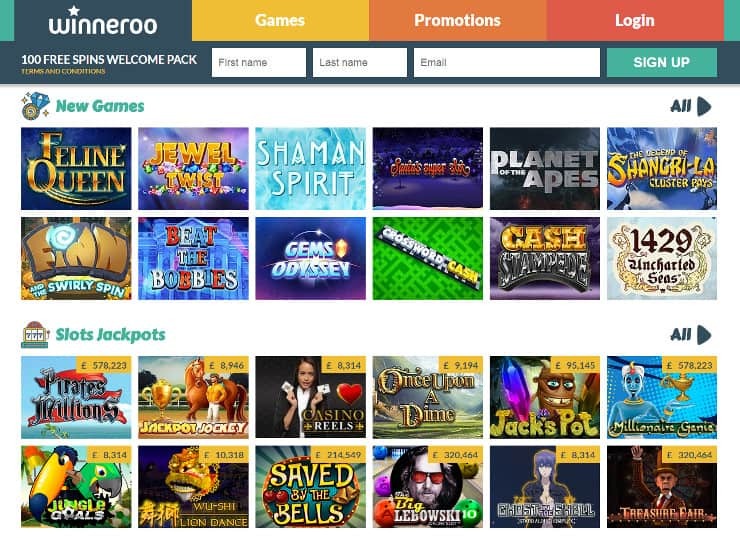 It’s fair to say that Winneroo Casino have absolutely nailed it with this site. 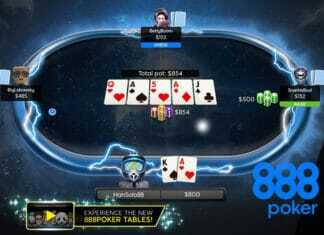 The theme design is smart and incredibly slick to use (especially on mobile), add to this some of the best regular player offers and bonuses and you’re onto a winner. The only gripe has to be the higher than normal wagering requirements on your bonus, but don’t let that deter you as could simply skip the deal. 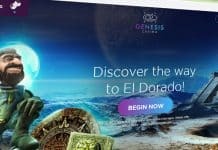 In all this has everything you could possibly want from a casino site and more, it’s a shame there’s just not enough time in the day.